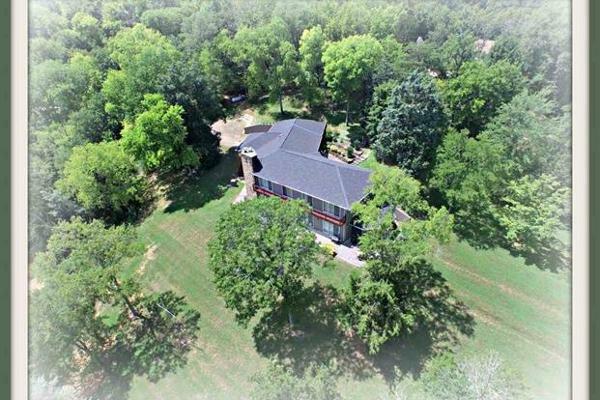 Mountain Peak Shores is a 2 level home with all you can imagine on a private setting on the Lakefront of Beautiful Douglas Lake. Our homes captures the amazing glory of all our area has to offer, including those Beautiful Smoky Mountains and the main channel view of Douglas Lake . You can sit in our home to experience this our go out an enjoy one of our many decks or the large yard. Views are everywhere ! We have 6 bedrooms and 4 baths of 6000 + square foot home on a 2 acre lakefront peninsula lot right off the main channel. This lake home sleeps a party of 16 – 20 guests. 16 in Bed and there are 2 sofas that can sleep 4 additional children. On the main floor is 3 king bedrooms with one being the master suite complete with a jetted tub, walk in shower. The main living area on this home has hardwood floors, kitchen and baths have tile. There is a 12 foot sectional sofa in the very large living room with a fireplace. A large dining area with a table for 10 + another fold up table for 6 and a breakfast nook surrounded with glass off the kitchen looking directly at the lake. Downstairs is 2 queen bedrooms and the last bedroom has 2 queen beds with 2 single beds built into the wall. The children will love this room. There are 2 full bath on the bottom level. There is a very large game room on this level that has a pool table, air hockey and ping pong. In addition to all this space there is a very large den on this level with another fireplace and the sofa for 2 more people . Our home is spacious enough with our 6,000 sq feet that large families can stay together under one roof and yet have lots of room and not be cramped . Our Beautiful Smoky Mountain Lake and mountain views can be enjoyed most all areas of this home.